This recipe was a first for me, in many ways. Not only was it a new recipe, but it was also my first time ever having made asparagus and my first time ever eating asparagus. So I didn’t really know what to expect. I’ve always thought I would hate asparagus. Maybe just because it’s ugly. But it was really pretty good, and I didn’t hate it! Melt the butter or margarine in a large skillet over medium-high heat. Add the garlic and asparagus spears; cook for 10 minutes, stirring occasionally, or until asparagus is tender. 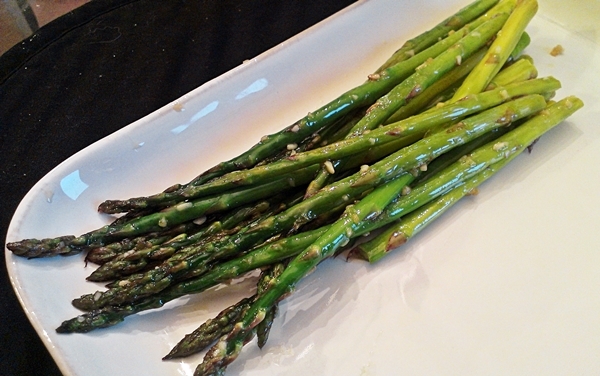 If you like your asparagus well done, reduce heat and cook an additional 10 minutes. Add a splash of white wine in the last 2 minutes of cooking. I made this recipe for dinner, along with sauteed garlic asparagus and mashed potatoes and gravy. 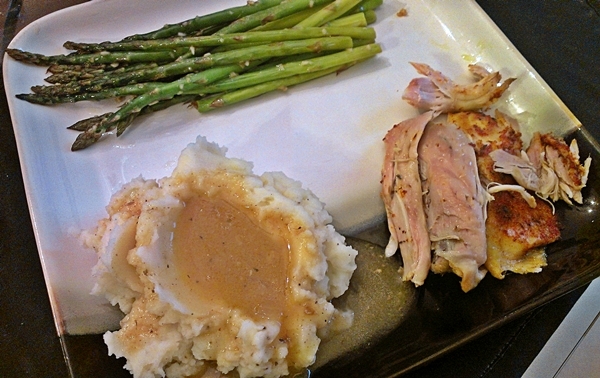 I made the mashed potatoes and gravy from scratch and used the juices from the chicken for the gravy. Yum. The chicken was super easy to make. I was a little concerned that the recipe said to not add any liquid, but it made it’s own within the first two hours or so and nothing burned, so, hooray! This recipe has been in my book for a long time now, and I’ve made it several times. We love having this and it’s really easy to throw together. Preheat oven to 350 degrees. 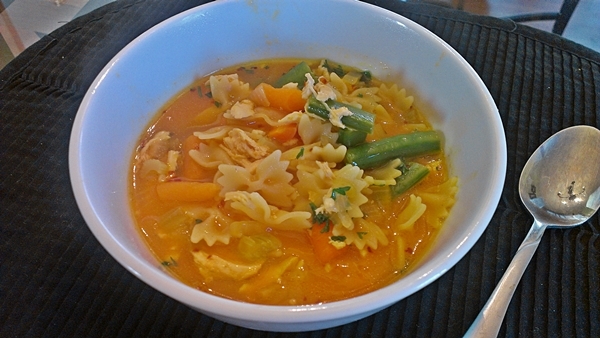 In a large bowl combine chicken, broccoli, noodles and cheese. Mix in the soup, broth, garlic powder and pepper. Pour into a greased 9×13 baking dish. Bake uncovered in preheated oven for 30 minutes. 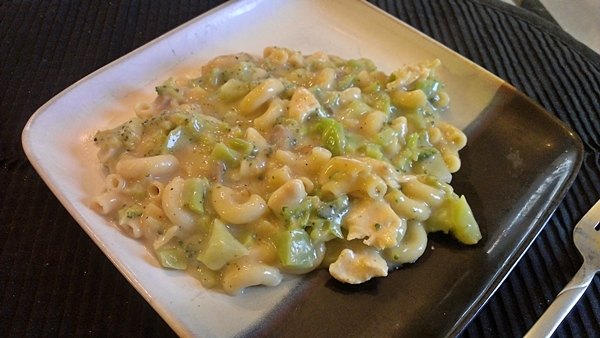 Stir and bake for another 30 minutes, or until chicken is fully cooked and macaroni is tender. Let stand 5 minutes before serving. I made this recipe for dinner last week. 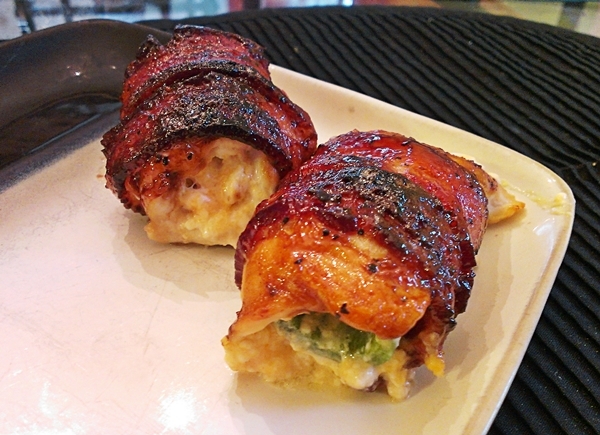 I wasn’t expecting too much, since my stuffed chicken recipes don’t usually turn out how I want them to. But this was really good. I was pretty surprised that most of the stuff didn’t leak out during cooking too. This recipes earned itself a post and is eligible for being made again some time. Preheat oven to 350 degrees F. Lightly coat a large, shallow baking dish with oil. Butterfly each breast by slicing in half horizontally through the center, cutting almost but not completely through. 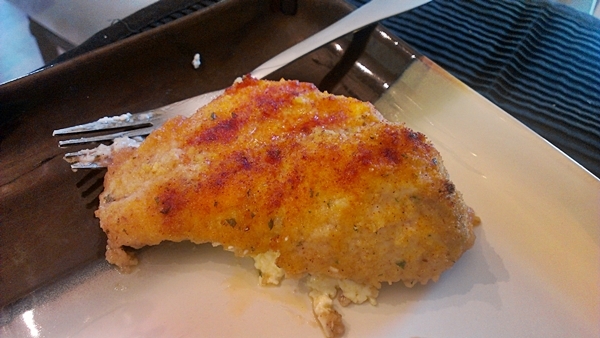 Place one slice each of Cheddar and cream cheese in the center of each breast. Close again as if placing between the pages of a book. Set aside. Pour milk into a shallow bowl. In a separate bowl, combine breadcrumbs and Romano cheese. Carefully dip each breast first in milk, then in breadcrumb mixture, patting lightly to firmly coat. Place breasts side by side in a single layer in pre-oiled baking dish, tucking edges under to seal. Melt butter in a small saucepan over medium heat. Stir in lemon juice and garlic, and drizzle evenly over chicken. 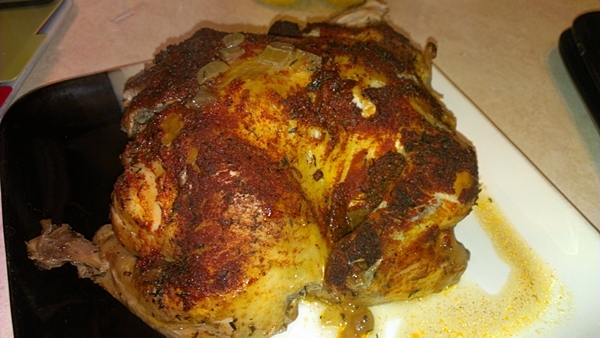 Season breasts with garlic salt and paprika. This recipe has shown up in my Facebook feed a few times now, and it looked pretty good so I thought I might as well give it a try. They weren’t too bad, but I would have liked them more if they didn’t remind me of those stuffed chicken grillers we used to get from Dillon’s all the time. I burnt myself out on those pretty bad. I usually hate recipes with baked bacon because it never seems to actually cook, but I just left it in on broil until it was crispy. You can also cook on a preheated 350 degree grill over indirect heat for 30 minutes or until chicken is done. Turn every 5 minutes and baste with BBQ sauce each time you turn it. I found this recipe in a magazine last week and it looked pretty good so I thought we would try it out. Just like I thought it would be, it was good. We also liked it with a little bit of Sriracha sauce, but we put that stuff on everything. It was equally good without it too though. I put in a little more vegetables than it calls for as well. In a 4-5 quart Dutch oven, heat olive oil over medium heat. Add onion and garlic; cook and stir for 2 minutes. Add curry powder and cook 1 minute. Carefully stir in orange-carrot juice, chicken broth, water, and salt; add carrots and celery. Bring to a boil, reduce heat and simmer, covered for 20 minutes. Add noodles, cook 6 minutes, stirring ocassionally. Add chicken and sugar snap peas; heat through. Stir in parsely and crushed red pepper.